Congratulations to the team for completing the shoot of AFG (working title). This is a production for Salt Film, written and directed by Tom Petch. 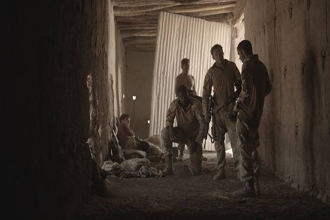 ONSIGHT is pleased our Camera Rental department could provide the high performance ARRI Alexa for a feature film. We also supplied the Sony F3. Shot in the Morroccan desert over the summer meant that conditions were particularly challenging, but the Alexa using Optimo zoom lenses stood up to the test. Stuart Bentley, DoP, said, “Nothing proved to be a problem - from dust, blazing heat, extreme contrast or long hours, the Alexa handled it all.”. Congratulations to our clients Atlantic Productions for Flying Monsters 3D with David Attenborough and Oxford Scientific Films in association with Principal Large Format for Meerkats 3D, in reaching the short-listed stage within ‘Best 3D Program’ at the Jackson Hole Wildlife Film Festival. It is fantastic to see these projects recognised at this renowned competition for natural history filmmakers. It is confirmed that a record number of entries were received and judged by over sixty judges from around the world. ONSIGHT played a significant part by providing production equipment and full post production services to two out of the three finalists. BAFTA award winning Flying Monsters 3D for National Geographic and Sky 3D was hugely challenging, but equally satisfying as we helped to bring to life the prehistoric world under the creative direction. Meerkats 3D, again for Sky 3D, was a delight as our team got up close to these popular creatures and supported the development of an immersive natural habitat the viewer can almost touch. With technology innovation always in mind, our camera team has developed a lightweight high resolution Stereo 3D shooting package. 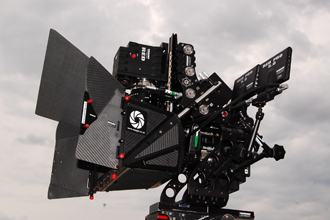 The solution uses a combination of the new Element Technica Atom rig and Epic cameras from RED Digital Cinema, which we have recently received. Although the size of a rig can be an issue at times, this fusion takes advantage of the small form factor of the Epic and still allows for full-sized PL mounted lenses. The result is a 5K-3D setup offering superior resolution than comparative systems, whilst weighing as little as some 35mm camera packages. We are extremely excited to be nominated in the Content Creation category for the BAFTA award winning Flying Monsters 3D with David Attenborough. This hugely ambitious project produced by Atlantic Productions for Sky and IMAX, made BAFTA history by becoming the first ever Stereo3D winner during the 2011 awards. It required the latest in technology and resolution to bring to life the prehistoric world with cutting edge Stereoscopic live action and CGI images. 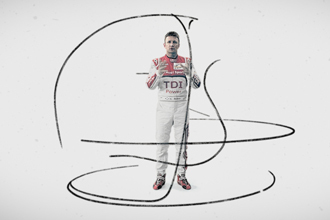 A Day in the Life of an Audi Driver features Audi Le Mans team leader Allan McNish describing what it takes to win the legendary Le Mans 24-hour endurance sportscar race – an event the German manufacturer has won nine times since 1999. BBH Creative Directors Kev Stark & Nick Kidney conceived the concept for the film after viewing a presentation by the charismatic McNish, the Audi race team lead driver, describing the intensity, focus, precision & endurance required to succeed in the race.